Love and Hate. Faith and Doubt. Guilt and Innocence. Peace and War. 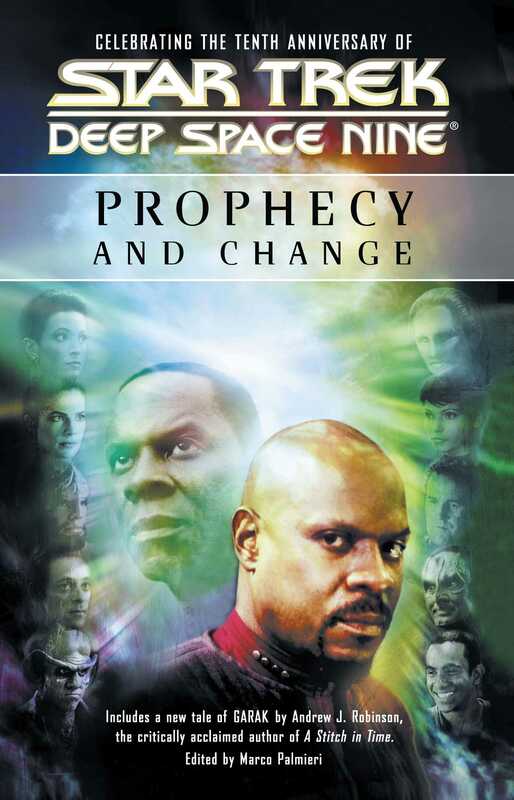 Few television series have embraced this symphony of contradictions on the epic scale of Star Trek: Deep Space Nine. From the vastness of space to the darkest depths of the soul, from the clash of empires to the struggles of conscience, from the crossroads of a galaxy to the convergence of hearts -- that seven-year journey was both universal and personal, challenging its audience with stories and characters that redefined Star Trek's Human Adventure for all time. PATHWAYS TRAVELED...The widowed father struggling to rebuild his shattered life, reborn as a religious icon to millions of believers. CHALLENGES CONQUERED...The resistance fighter who aided her former oppressors in their struggle for liberation and emerged as the leader she never imagined herself becoming. TRUTHS REVEALED...The orphaned alien whose quest for his own identity became the salvation of a quadrant. Rediscover this extraordinary saga in a landmark collection of tales that confronts assumptions, divulges secrets, and asks as many questions as it answers.